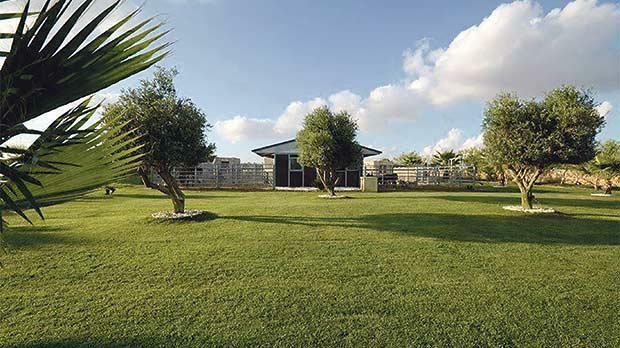 The Planning Authority today sanctioned a large zoo in the limits of Siġġiewi, despite the objections of the environment authority. The application to sanction was approved this afternoon with three members - Environment and Resources Authority chairman Victor Axiak, Planning Authority chairman Vince Cassar and Siġġiewi mayor Alessia Psaila Zammit - voting against. The L-Arka ta’ Noe Therapeutic Zoo, which lacks any planning permission, is situated over more than 10,500 square metres of agricultural land and a disused quarry in a rural area known Ta’ Bur ix–Xewk, outside development zones. Its illegal structures include enclosures for a vast menagerie: Siberian tigers, black leopards, alpacas, wallabies and monkeys – as well as a car park and a farmhouse serving as a residence and catering facility. The zoo came to wider attention in June, when it announced the birth of two extremely rare white tiger cubs. The PA board has been recommended to approve the application to sanction the facility but the Environment and Resources Authority (ERA) has objected to the application, which it said would “contribute to the overdevelopment of the site with adverse, cumulative environmental impacts, including the further encroachment, proliferation and scattering of new buildings and structures which could have easily been located within designated urban areas”. The ERA said that approving the application would create a precedent for further urban built structures in the area, resulting in further uptake of agricultural land for unjustified uses and a negative impact on the landscape. Objections have also been filed by environmental groups Front Ħarsien ODZ and Din L-Art Ħelwa, which said approval would contribute to the “attitude of building first and then obtaining a permit to sanction”. The application was approved against a fine of €50,000. However, a recommended planning gain of €50,000 was changed into a requirement for an agreemeent to be reached with the Education Department to facilitate free school visits. The applicant had argued that the proposed planning gain was excessive as the zoo served a therapeutic function. Today's hearing was attended by a number of regular visitors to the zoo, including some parents of children with disabilities, who testified to the zoo's therapeutic value. In 2010, the PA refused permission to sanction stables on the site on the basis that the development could not be considered essential to agriculture and would also have resulted in unnecessary urban sprawl as well as further visual intrusion in the open countryside. Things changed with the introduction of the Rural Policy and Design Guidance in 2014, and if the PA board accepts the Planning Directorate’s assessment that the proposal is in line with the new policy, the stables will be regularised along with the rest of the zoo. Although the Planning Directorate recommended against the proposed sanctioning of the farmhouse for approval, the baord agreed with the applicant’s arguments that the farmhouse should only be demolished if the zoo ceased to function. The Agricultural Advisory Committee, the clearance of which is central to the recommended sanctioning, withdrew its original objection after amendments to the plans, and on the condition that part of the site is upgraded to agricultural land and handed over to a young farmer.